I know that most of you weren't overly happy when Alden Ehrenreich was cast as the lead star in HAN SOLO: A STAR WARS STORY spin off movie, but you might be happy to hear that Me Before You and Game of Thrones star Emilia Clarke has just been cast by Disney as the female lead in the movie which should fly into cinemas May 2018 on the Millennium Falcon. As you know the movie will describe the young days of captain Han Solo and his trusted fury friend Chewbacca following their early adventures ten years before the story of the Star Wars movies started. Donald Glover has previously been cast as young Lando Calrissian, one of the smugglers from the galactic underworld who will later on become an important politician! It has been revealed that Han and Chewy will meet a dynamic cast of characters during their adventures! The Lego Movie's Phil Lord and Chris Miller are directing the film! Meanwhile, Netflix has dropped the full trailer and poster for their A SERIES OF UNFORTUNATE EVENTS mini series which will be released around the world on January 13th! 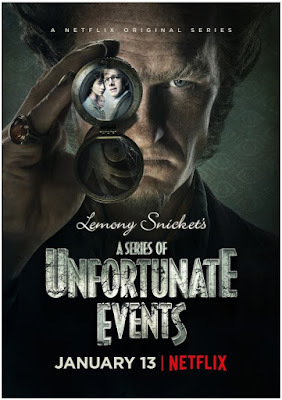 A small screen adaptation of Lemony Snicket book's it brings the tragic tale of the Baudelaire orphans, Violet, Klaus, and Sunny, whose evil guardian Count Olaf (Neil Patrick Harris) will stop at nothing to get his hands on their inheritance. The siblings must outsmart Olaf at every turn, foiling his many devious plans and disguises, in order to discover clues to their parents’ mysterious death. The eight episode series also stars Patrick Warburton, Joan Cusack, Malina Weissman and Louis Hynes. SERIES OF UNFORTUNATE EVENTS looks good, although I think (from what I saw) Jim Carrey brought more menace to the character. looks kinda he is playing Carrey to me :) but I don't know the character so maybe he is like that generally? A Han Solo movie should be a good thing! Alden Ehrenreich? Alden Ehrenreich???! Say it ain't so! 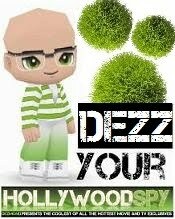 Dammit... those frigging Hollyheads. I know what I'll be watching start January 13! I have to say Neil Patrick Harris looks fantastic as Olaf. I am sure the series will be a hit. I read the first few in the series about 15 years ago and I know lots of kids that love them. The Star Wars movie sounds like it will be interesting if it is done right (which I hope it will be). hopefully people will flock to Netflix to watch it! Honestly, I thought the Jim Carey Olaf bored me. I don't think I even completed the movie when it came out. I will, however, be catching the Netflix version. I do think NPH adds a touch of pizzazz to every character he takes on, so he will probably be a better Olaf in my opinion. that whole movie was unwatchable even with Meryl Streep in the cast! I'm annoyed by the brunette lady clones but let's see how Rogue One goes. I liked Jim Carrey's Olaf way better but Neil isn't bad. Let's see how it all turns out in January.